© ℗ 1993 Capitol Records Inc.
© ℗ 1995 Capitol Records, Inc.
© ℗ 1999 Blue Note Records. All rights reserved. Unauthorized reproduction is a violation of applicable laws. 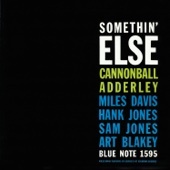 Manufactured byBlue Note Records . 150 Fifth Avenue, New York, NY 10011. This book contains 147&#xa0; transcribed solo of alto saxophonist Cannonball Adderley. All solos are in the key for Eb&#xa0; Alto Saxophone. 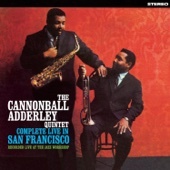 These are selected solos that outline the career and development of Cannonball Adderley from the 1950's until the 1970's. These solos show his development as an altoist who first was influenced by the great Charlie Parker into what became his own sound and style.